When you think coffee, LA isn’t usually the first place that comes to mind. 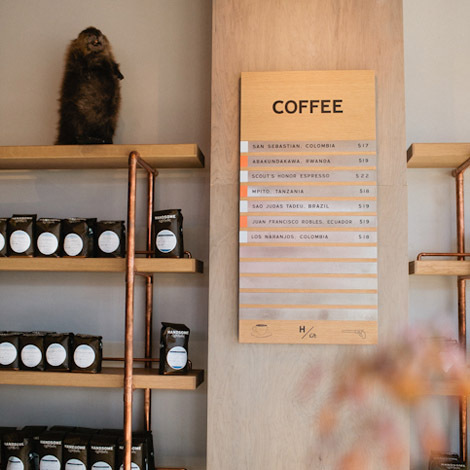 We don’t have the indie vibe of Seattle or the chic atmosphere of Paris, but LA is developing a coffee culture all its own. It’s just a little harder to find. 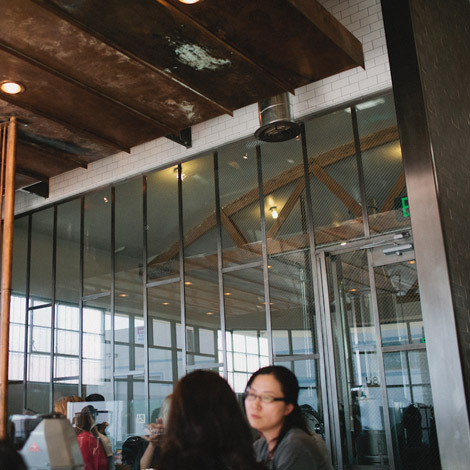 Awhile back Intelligentsia set off a trend of hip, industrial-modern cafes opening in the area. Though the trend has been met with somewhat polar reactions, no one can deny that these spots are lovely for relaxing in on a lazy afternoon. 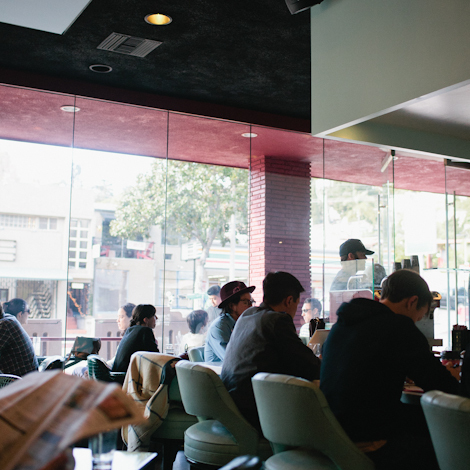 LAMill Coffee is a staple in hipster haven Silver Lake, and it has great ambience for reading or getting some work done. I love the sleek interiors and mid-century furnishings. In addition to espresso and more creative coffee concoctions, they also serve food, wine, and dessert, so it’s a promising lunch spot if you’re in the area. 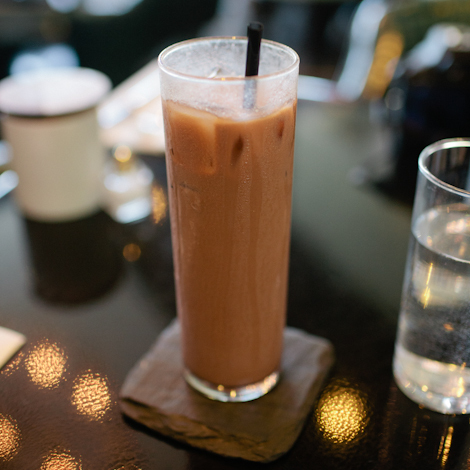 I’m partial to the iced Valrhona mocha on a warm summer day. 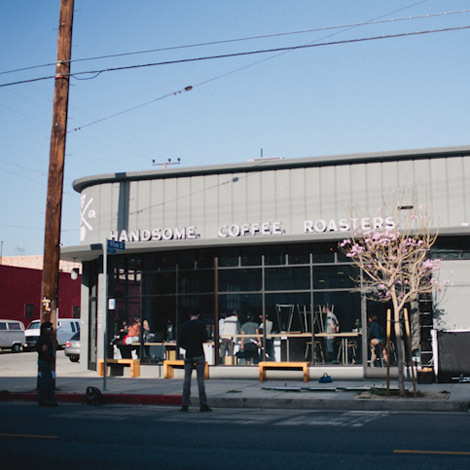 Handsome Coffee Roasters doesn’t mess around. 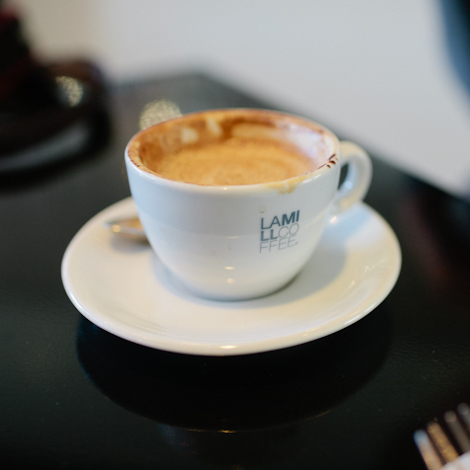 It serves coffee, and nothing fancy at that–espresso and milk, your choice being between different sizes. A constant flow of customers proves that the beans speak for themselves. 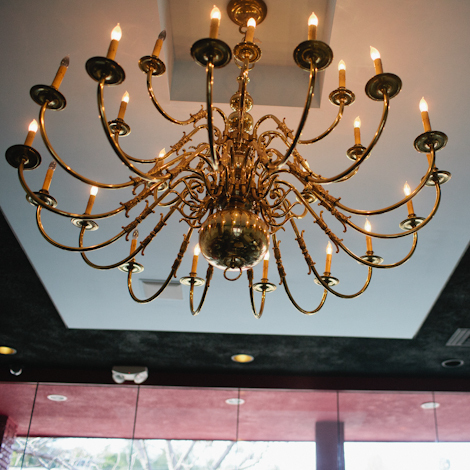 Located in the Arts District in downtown, it’s quiet but worth the trek to hang out in their open, light-filled space. This entry was posted in Los Angeles, Taste and tagged arts district, cafes, coffee, downtown, los angeles, silver lake. This post made me miss Los Angeles! I grew up around the silverlake area. It’s changed so dramatically over the past decade. 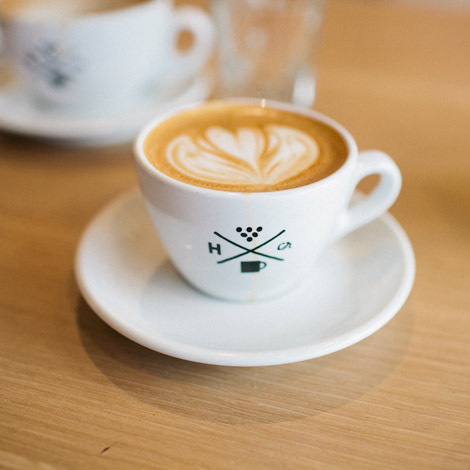 I love the handsome coffee roasters logo! Thanks for sharing! I’ve heard Silver Lake is hipsterdom for the LA community. Any truth to that?